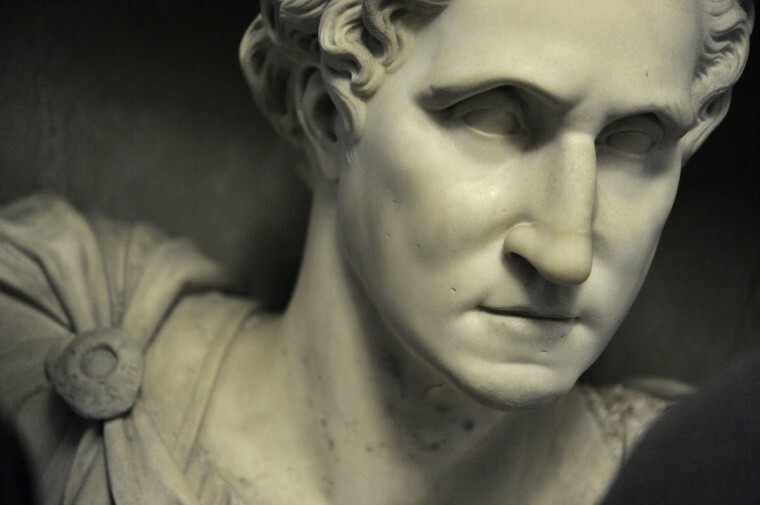 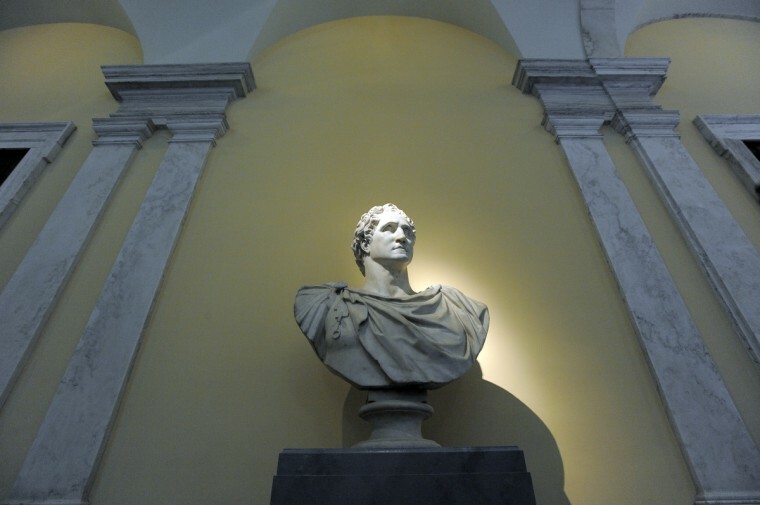 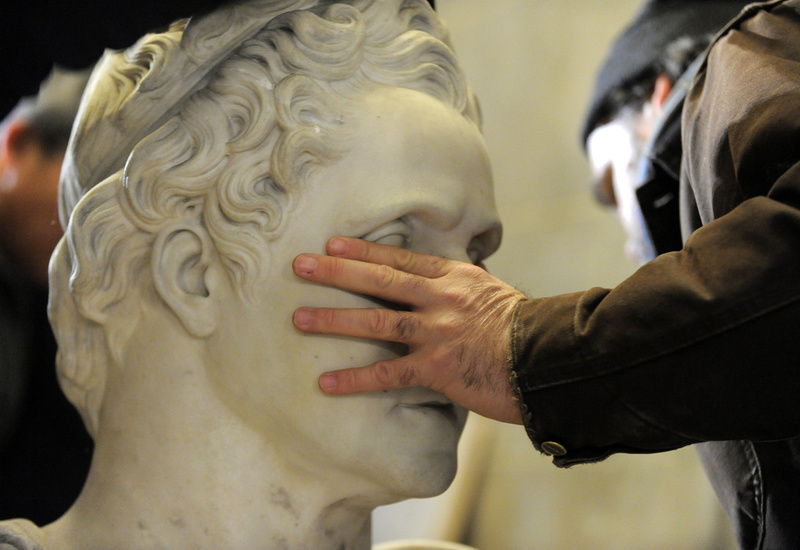 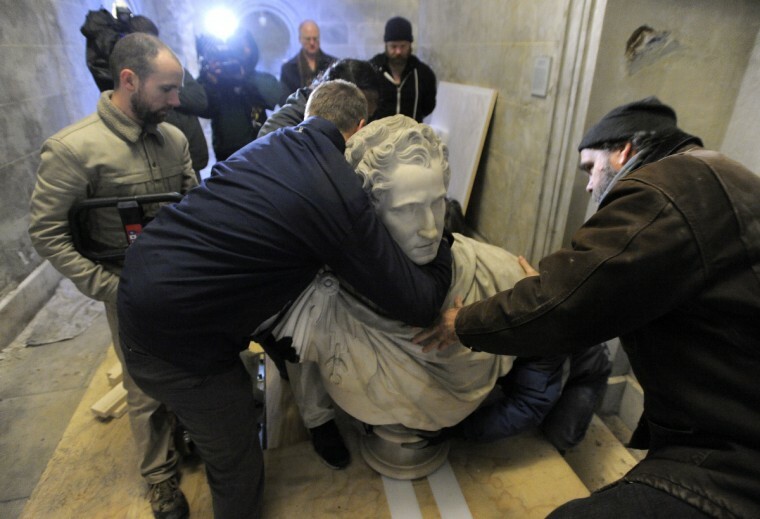 One of the very special artifacts located in a museum in the base of the monument is a one thousand pound marble bust of the first president. 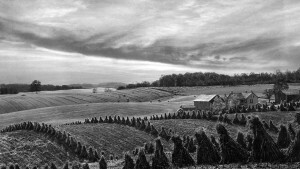 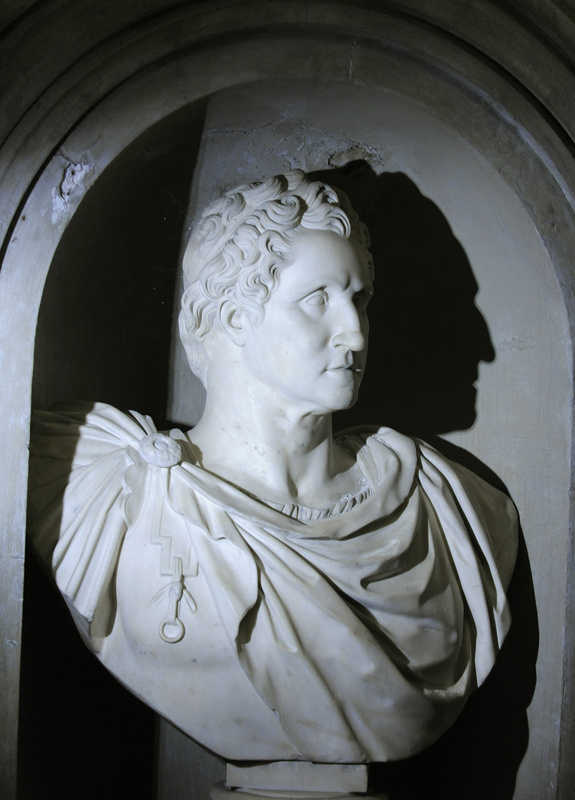 The Board of Managers of the Washington Monument in 1834 purchased what they called a “Colossal Bust” for $50, which was copied after the original by Italian sculpture Giuseppe Ceracchi. 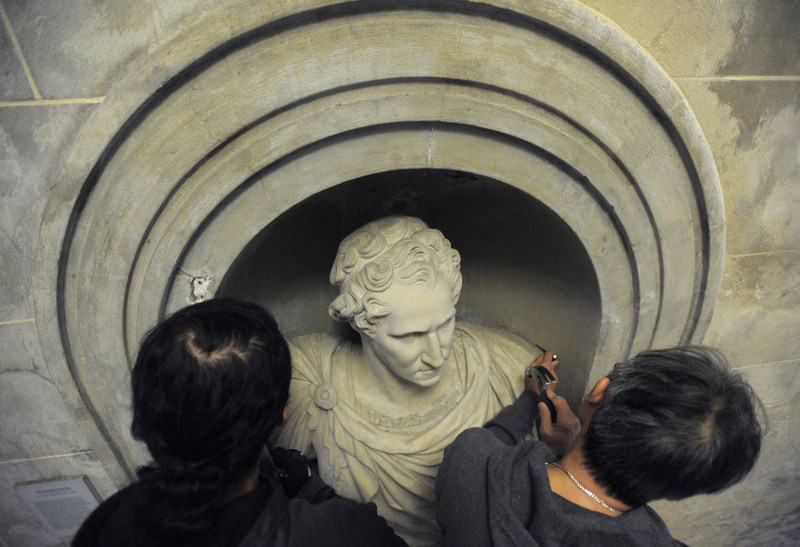 The sculpture has been in the monument ever since. 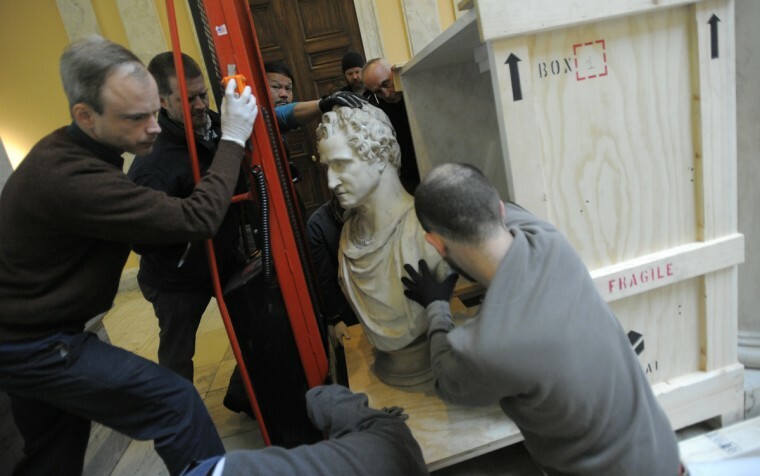 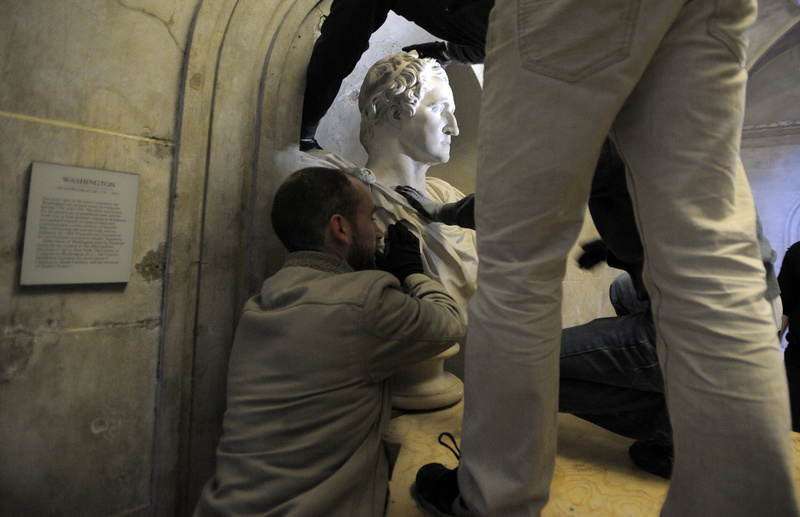 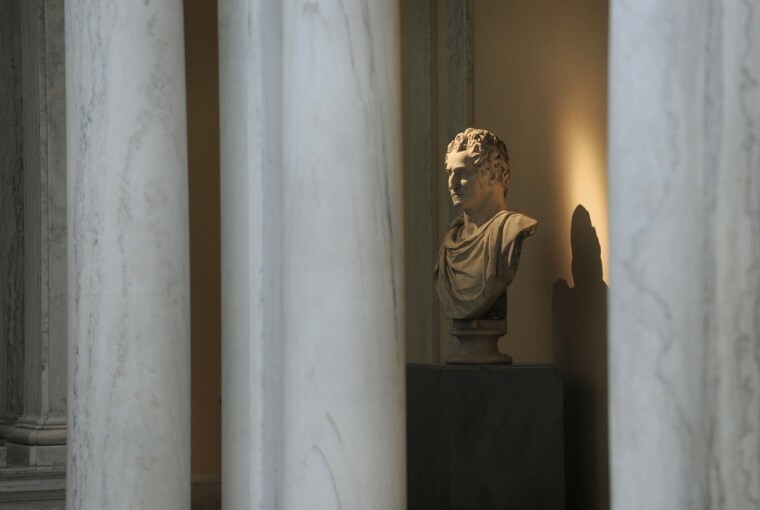 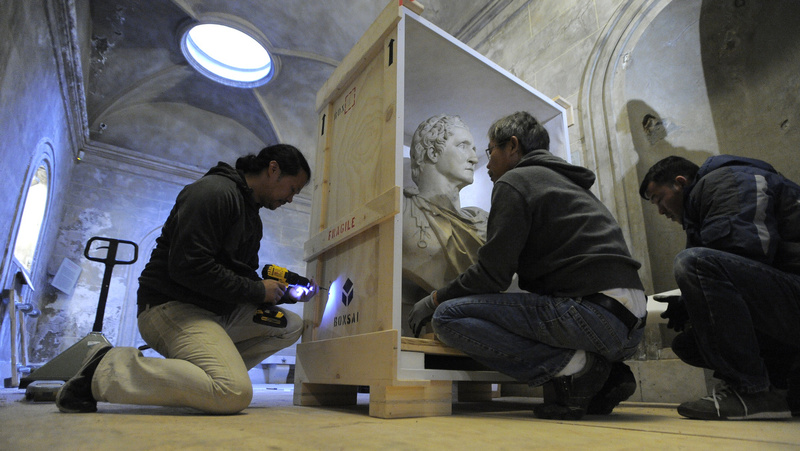 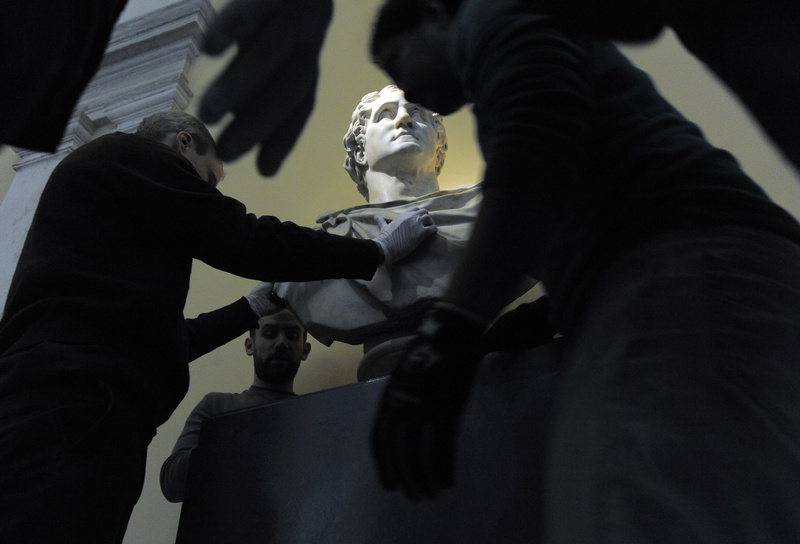 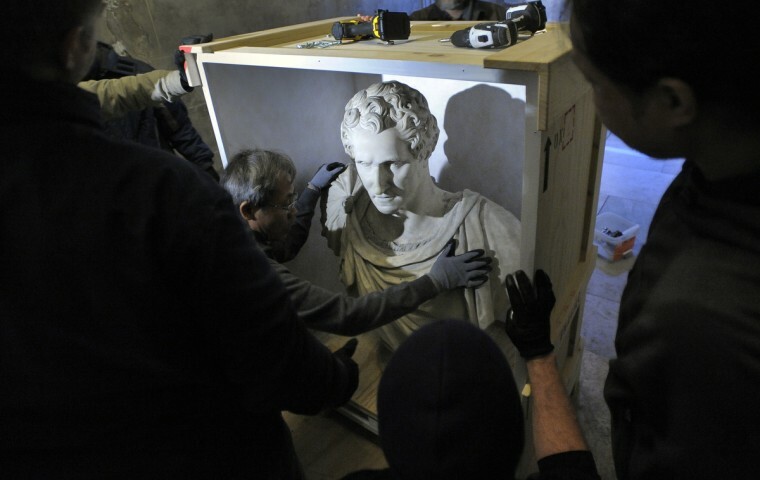 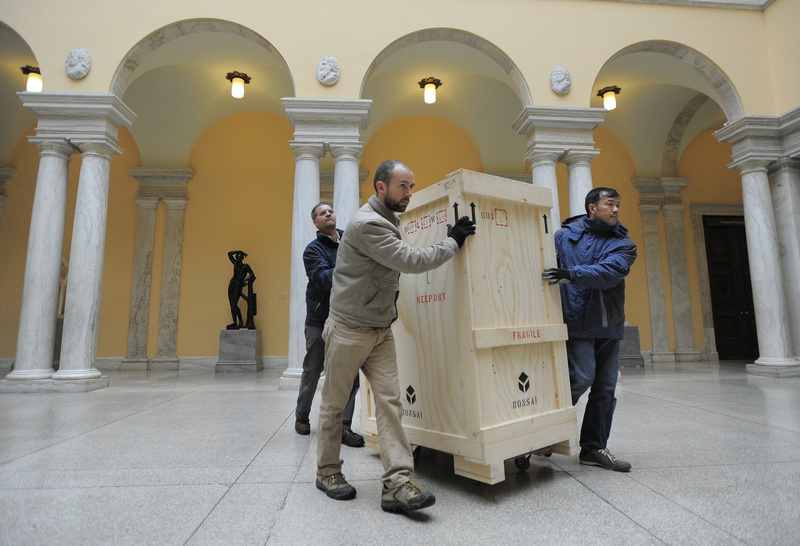 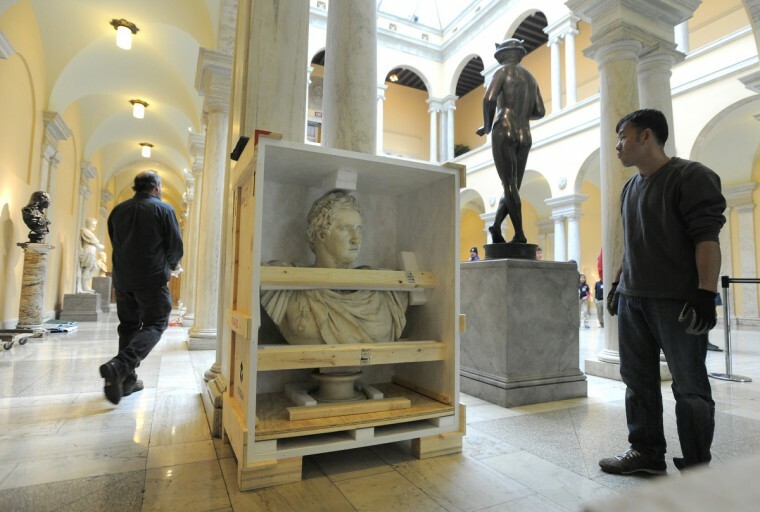 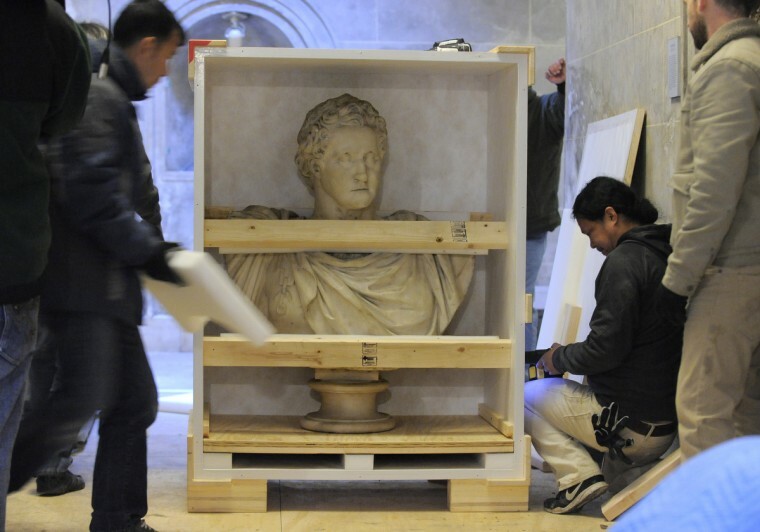 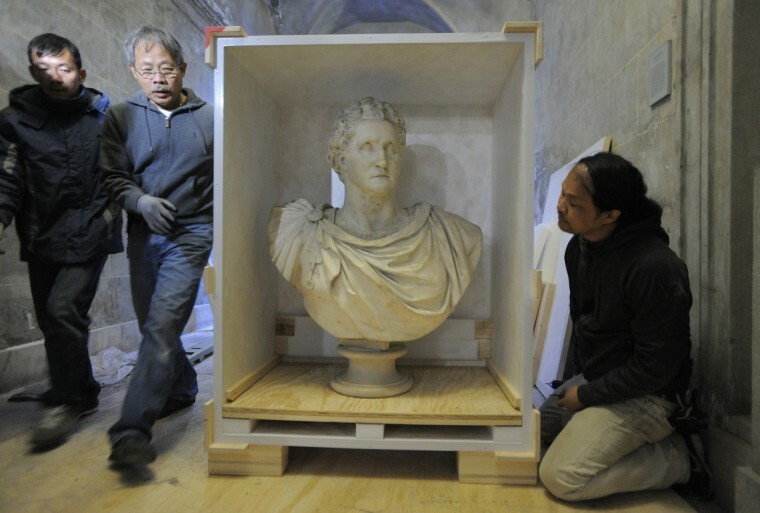 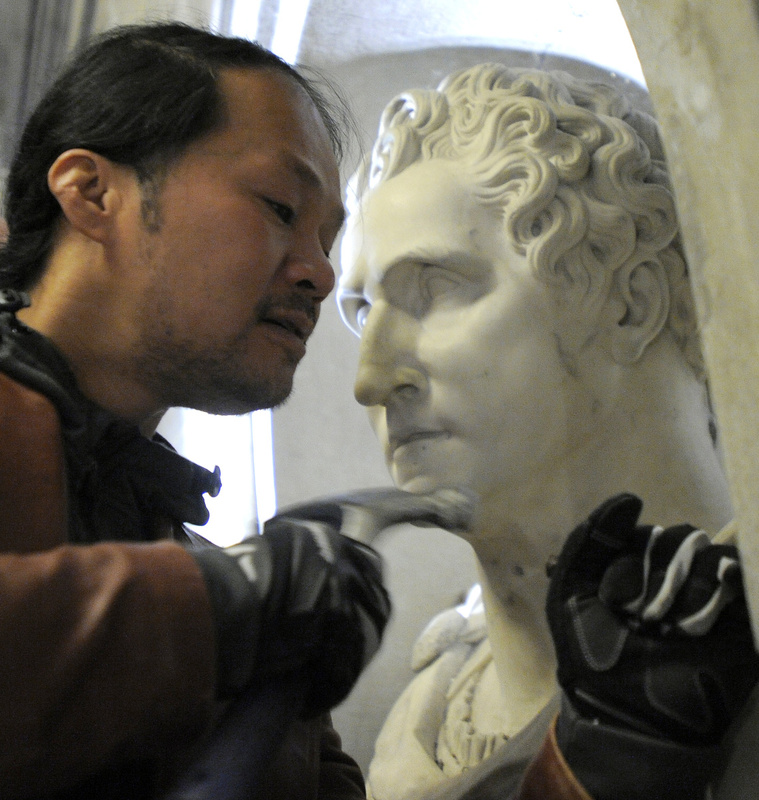 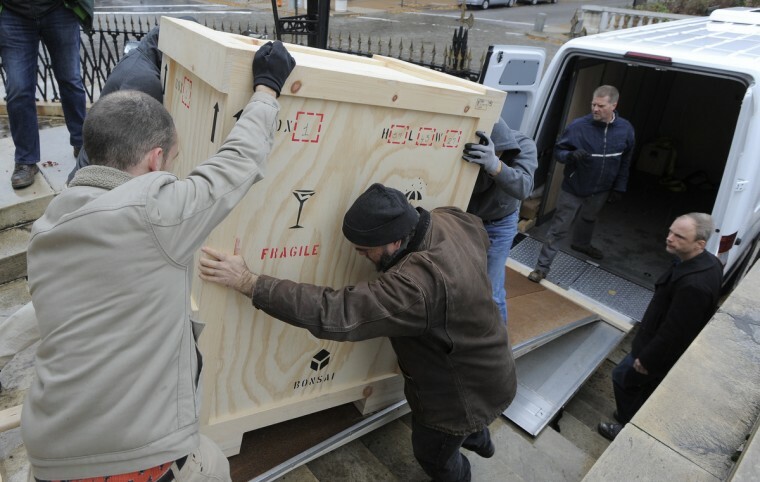 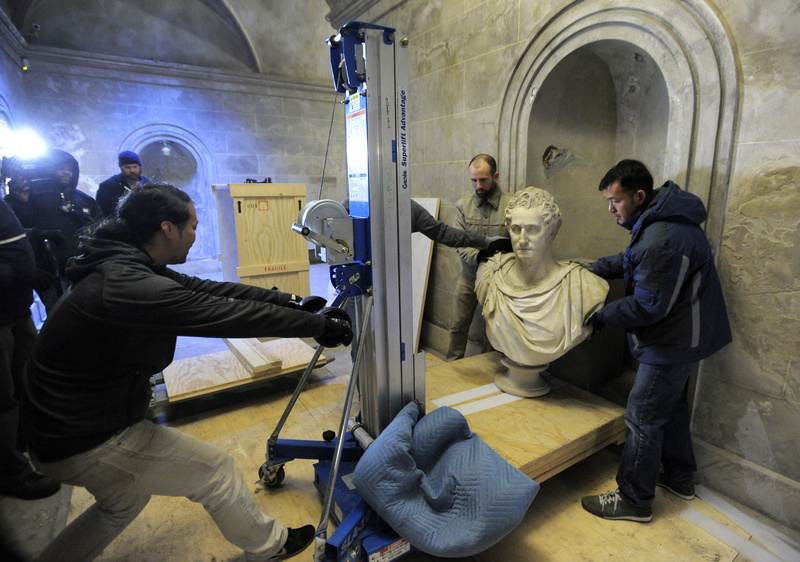 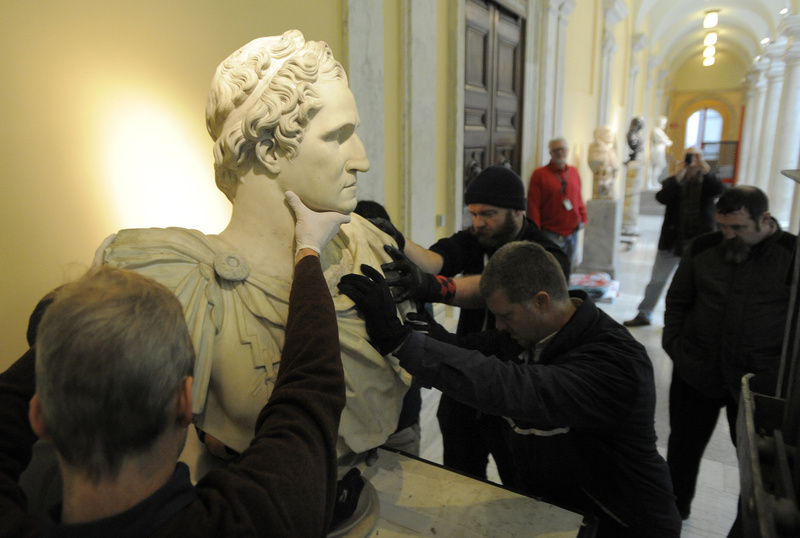 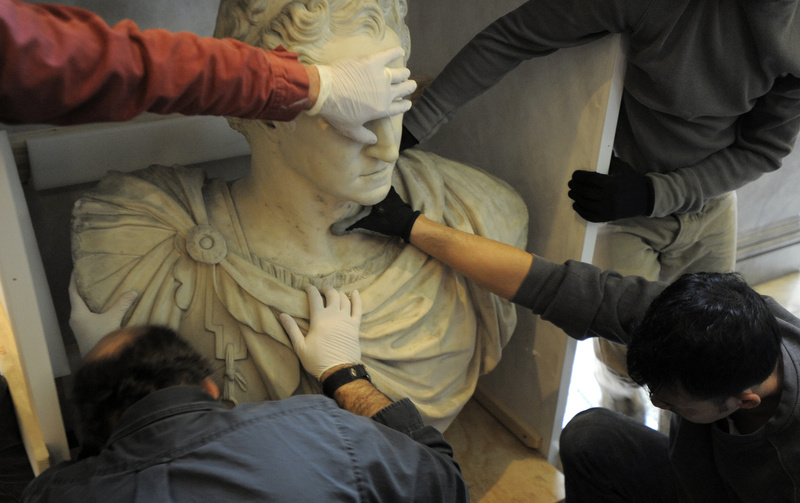 The bust was carefully taken out of the monument by Bonsai Fine Arts, Inc. and transported to the Walters Art Museum where it will be on loan for the next 13-16 months during the renovations to the monument. 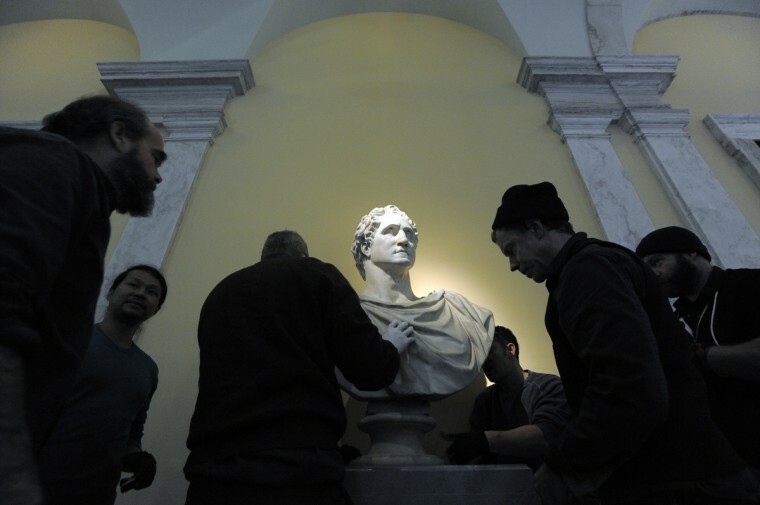 The Mount Vernon Place Conservancy plans to bring the sculpture back after completion of renovations on the Washington Monument and it reopens on July 4, 2014 for it’s Bicentennial.